Females ants have it better than males when it comes to life span. Queen ants outlive other ants by months or years, depending on the species. Workers, which include all the nonreproducing females, generally live for months, and males usually live for merely a few weeks, according to the of Arizona State University website. Ants start out looking like small maggots. In this undeveloped stage, they're called "brood" or "larvae." All the ants other than the brood are adult ants. The ant brood remain in the nest and the worker ants, sterile females, take care of them. Larvae have to molt -- shed their skins -- to grow. They eat a great deal to fuel their growth and then develop into pupae. In this stage they rest and begin to look more like ants. They develop from pupa to directly into adult ants without a juvenile stage. The queens grow largest. Workers feed certain pupae more than others to create queens. Certain queen ants can live decades instead of the mere weeks or months of other ants. 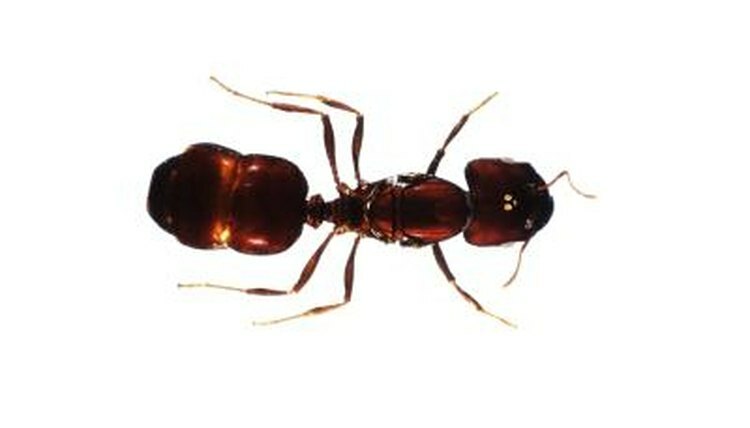 Pharaoh ants, also called "sugar ants," have relatively short lives. Their queens live approximately a year, and workers live for 70 days or so, according to Texas A&M University's website. Atta texana, also known as leaf cutting ants because they harvest foliage to grow fungus on, live longer than Pharoah ants. Their queens usually live more than a decade and the workers live for a year or two.